Here on IFB, we have a lot of tips for you on networking and how to make the most of conferences. Now, where to put these skills to good use? These days, there are a variety of conferences that either cater or appeal to fashion bloggers. 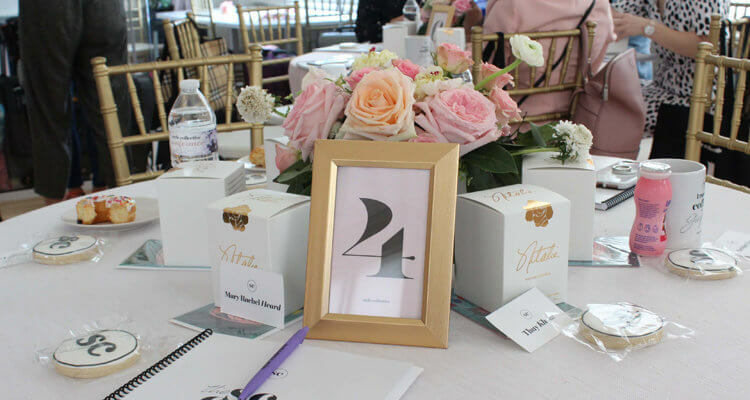 Blogger conferences are chockfull of tips, best practices and learned lessons from big brands, fashion startups, reps from useful tools and resources (think RewardStyle and MailChimp) and of course, experienced bloggers. There are plenty of networking opportunities (read: fun parties) where you can meet other bloggers, and there's always plenty of awesome swag from sponsors who are looking to reach out to bloggers in some way. Having attended my fair share of blogger conferences, I can say wholeheartedly that they are worth the time, money and energy put into them. They can get expensive, when you factor in travel, hotel, food and conference pass. Create a budget for yourself, look for flight and hotel deals, and see if you might be able to split costs with a buddy – or a blogger friend you have yet to meet IRL! All that said, here is a list of blogger conferences we're aware of that have been active in the last year or so. International IFB friends, I need your help! Please let us know if you have any conferences outside of the U.S. to add in a comment below. If we missed any others in the U.S., feel free to add those too! I attended The Hive, bloggers conference in Berlin, this year in May. It gathered bloggers from all around Europe, but I have to say that the guest speakers were not very famous or interesting. I would really love to go to a conference that focuses a bit more on fashion bloggers, but so far in Europe I could not find one. I don’t know of nay here in Colombia, if anyone knows please tell me!! I attended iFabbo in October and I LOVED it! Very well done. Great speakers, fabulous panels. Very insightful. I highly recommend it to everyone and it’s pretty affordable as well. hopefully next year i can go to one… anyone know of any in the dmv area? Oh this is so cool. I had no idea about many of these. Is IFBcon in February this year as well? I haven’t seen anything about it yet. This is actually a handy list to have! I hope to make it to all of these conferences in my lifetime I guess! Glad iFabbo made the list! I am interning with them! Wow, so many blogcon. It just showed that how blogging industry evolved. We had nothing like that in Malaysia except for this one. It’s a ministry effort though. Unfortunately we European bloggers are missing out here… I wish there were similiar conferences in Europe too which I’d love to attend! This is a great list of fashion events. I’ve been looking for a comprehensive list for quite some time. I am excited to attend many of these. I hope to see a few of the authors from IFB there. Thanks so much!!!! I attended the first ever San Francisco edition of Alt Summit and was pretty disappointed. Some speakers were great, but a few presentations were seriously lacking in anything useful. However, I did learn that it’s a red flag when a conference schedule is about 50% panel discussions. I would have learned way more if I’d saved my $260 and caught up with the IFB archives instead. Thank you for putting together this list. A local group started a fashion meetup in my city and it has been very insightful to help network and speak to others who have a love for fashion. Kudos for putting this list (quite exhaustive I may add) together. I plan on attending a couple next year. Thank you. Seems that being a fashion blogger is more than posting pictures about wearable outfits. I’m learning interesting things in this page. I would love to attend to one of this conferences. Will there be an IFBcon in Feb 2014? Great list! It makes me want to go down to the US for a trip next year to attend at least one of these conferences. We have a Beauty & Fashion Blogger conference called Spark Sessions taking place this weekend (Nov. 16 & 17) in Toronto! I will be going and I’m so excited! This is why i think the US is the land of milk and honey- because of the array of opportunities it provides! You may want to check out Spark Sessions in Toronto! It’s a beauty and fashion one. I’m new to the IFB community and would love to go to their next conference. Anyone know if one is coming up in February? Europe definitely needs to have blogging conferences! I never had a chance to attendo to conferences because usually happens far away. I would love to attend to a event in Boston. If anyone knows anything about any upcoming fashion bloggers conference in Boston please let me know. Thank you!! Thank you for sharing! look forward to my first conference. Have a great day.